Jamie here to share a gift card holder! I used the Folding Gift Card Die and added the layer from the Goody Bag Die. Then I added a sentiment from Java Time to a Flag Die and layers from Flag Die and Flag Die 2. Last I added the coffee cup from Coffee Dies with a Heart Die 2 stamped with a Coffee Face! Beautiful!!! 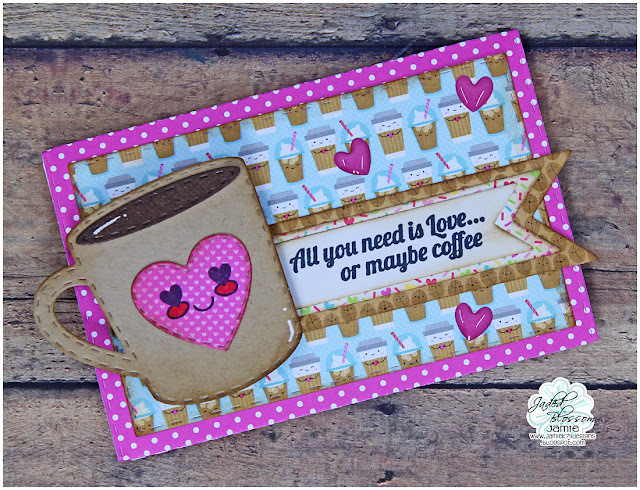 I love coffee cards and that cute face!!! My Heart Belongs to You! February Stamp Release Blog Hop!